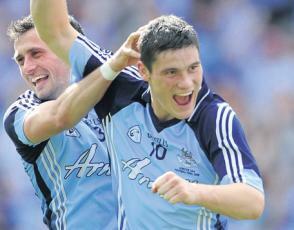 Dublin qualified for the All-Ireland final against Kerry with a hard earned victory over Donegal, 0-8 to 0-6. Despite playing a man short for the last quarter of the game, Dublin staged a fine comeback after being behind at halftime and scoring only two points in the first half. The game was one of the worst ever seen at Croke Park, with Donegal using a blanket defense to frustrate Dublin which led to a very low scoring match. Dublin will now meet Kerry in the final on September 18 in a clash that will revive many memories of the great clashes between the two teams in the 1970s.